As we all know, winters in Connecticut can be brutally cold. One the temperature drops, there is nothing that beats the feeling of comfort in a well-heated home. However, there is nothing worse than the panic when your heat doesn’t work when you need it to. This happens all too often, and during the winter, it can be detrimental to not only your comfort, but your home as well. Don’t wait until cold weather arrives to find out your home’s heating system is not working. taking precautions and preparing for the winter before it comes is one of teh most important ways you can prepare for the winter. We provide heating services in Bridgeport, Stratford, Farifield and all over Fairfield County. Contact us today, we service all types of furnaces including natural gas, oil, electric, and propane. The last thing anyone wants to deal with is their furnace going out on a cold winter’s night. If this were to happen, the last thing you would want is to wait to have it fixed. Heating repairs are urgent and needed right away. If your furnace isn’t turning on or is blowing cold air, you need your heating system fixed. While this is the most common sign that you need to repair your heating system, there are a wide range of other problems that cause your heat not to work. When it comes to getting your home’s heating system repaired, you cannot afford to wait. Contact us today or call (203) 601-7752 to schedule your home heating service. No matter what type of heating system is in your home, it will eventually stop working and will have to be replaced. If your heating system is 10 – 15 years old, it might be time to thinking about upgrading your unit. When heating systems age, they become more susceptible to wear. This increased wear and tear can lead to not only more frequent repairs, but a loss in the overall efficiency of the unit. Depending the age of your furnace of boiler, replacing the old unit can help you save money on energy bills. This is due to newer heating systems being far superior when it comes to efficiency. A more efficient unit helps lower the costs associated with heating you home. If your older heating system is in need of replacement, there are a variety of options when it comes to the installation of a new unit. Contact 203 HVAC today for a Free furnace or boiler replacement and installation quote. 203 HVAC is Fairfield County’s air conditioning installation and replacement service professional serving Stratford, Bridgeport, Fairfield, and the surrounding areas. Our team has the skills and experience required for all central and ductless air conditioning installations, replacements, and more. Contact us today to get a free air conditioning replacement or installation cost quote. Your furnace requires annual service and maintenance to ensure proper performance. If your Furnace appears to be functioning as normal, it is highly recommended to schedule annual furnace cleaning and maintenance service. 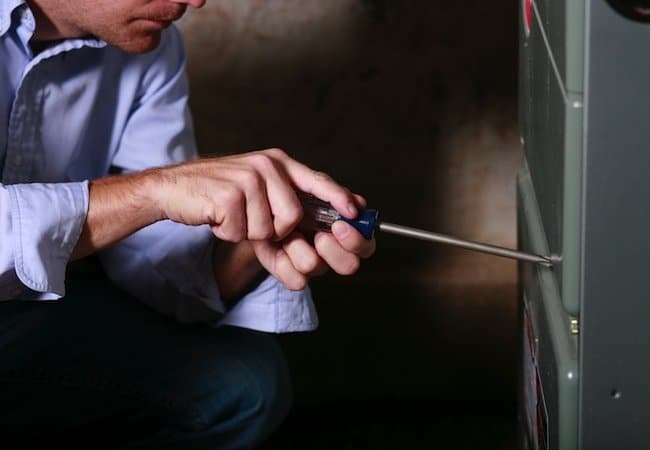 Proper furnace inspection and maintenance helps your furnace not only helps ensure safe operation all winter long, but helps prolong the life of your heating system. Having your heating system fail in the middle of the winter is not something anyone wants to deal with, especially with how frigid temperatures get in CT. Schedule your heating maintenance today to ensure your furnace our boiler is reliable all season long.